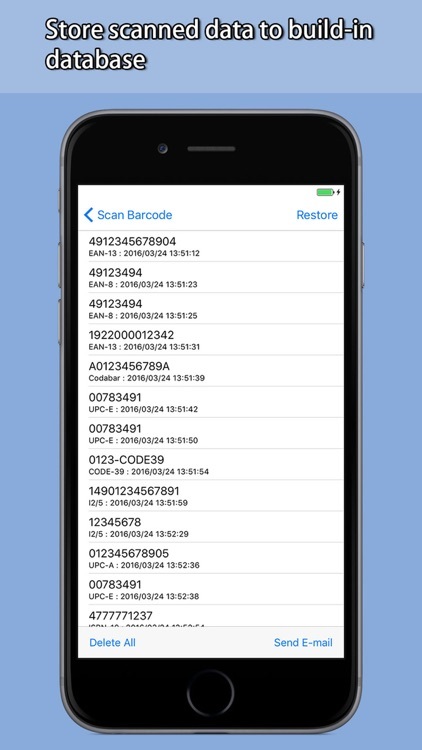 Barcode Scanner - Ultimate Barcode Scanner that can read almost all popular barcodes and 2D symbols. 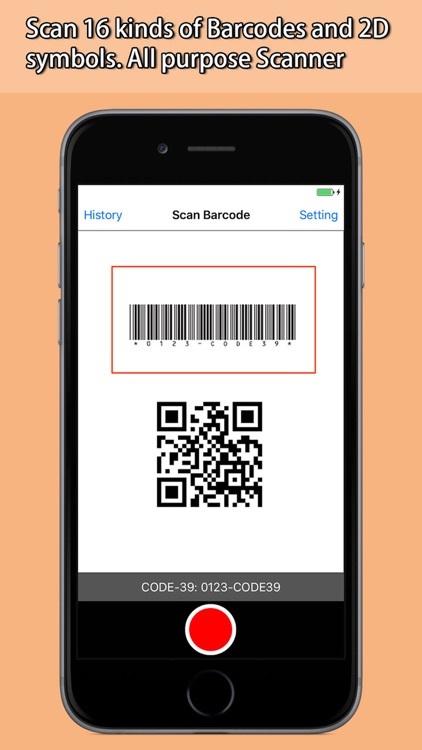 “Barcode Scanner” is the barcode scan app that supports reading almost any popular barcode types and 2D symbols. 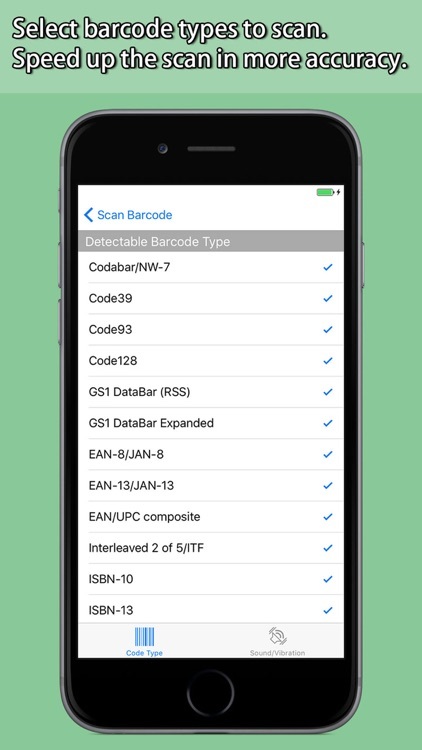 Supported barcodes and 2D symbols are Codabar/NW-7, Code39, Code93, Code128, GS1 DataBar, GS1 DataBar Expanded, EAN8/JAN8, EAN13/JAN13, EAN/UPC Composite, Interleaved 2 of 5, UPC-A, UPC-E, ISBN-10, ISBN-13, PDF417, QR code. Scanned data are recorded in built-in database. These data can be converted to CSV file to send by E-mail. CSV file is popular spreadsheet format that can be opened with spreadsheet software such as Excel. Also CSV file is ZIP compressed to make large data to smaller file to save significant amount of packet usages. 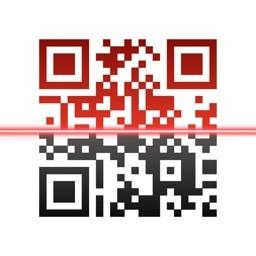 “Barcode Scanner” scans barcodes very fast and in high recognition rates. Suitable for batch scanning operations such as cycle count in logistics operations. 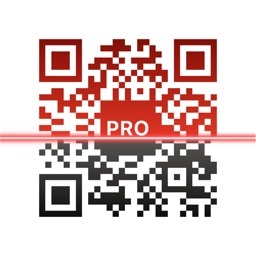 You can scan the QR code on the poster or business cards and opens the web site of which address is embedded in QR code. You can select the types of barcodes you want to scan. 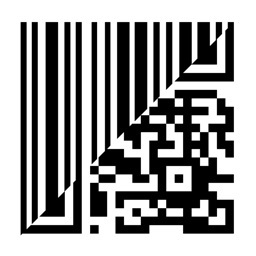 It increases the barcode recognition rates and speed up the scan time. 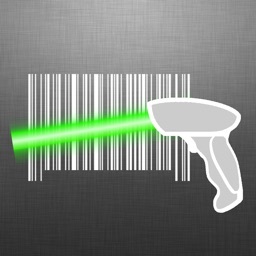 “Barcode Scanner” app changes your iPhone / iPad / iPod Touch into high performance barcode scanner device and it is FREE! With additional benefits such as storing scanned data in database and sending the data via Internet, you do need to buy expensive hardware barcode scanner anymore. 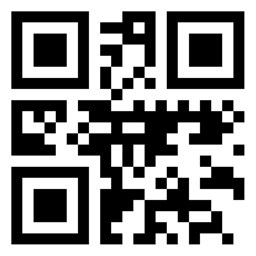 * Scan 14 barcode types and 2 two-dimensional codes. * High speed scan and high recognition rates and retrieve later. * Batch scanning support. Record scanned data to built-in database. * Send the scanned data via E-mail. Cradle or direct link to PC are not required. * Export data as CSV file. Use the scanned data with spreadsheet software. * Compress scanned data with Zip compression to save network usages when sending by E-mail. * Selectable barcode types to scan. Improves scan accuracy and scan speed. 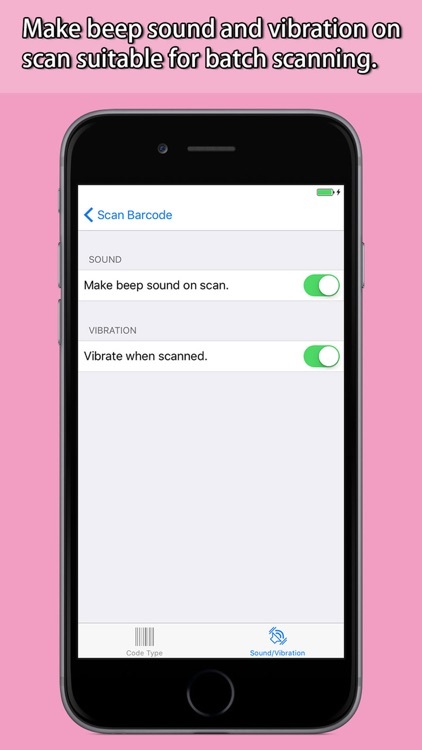 * Switch ON/OFF to beep or vibrate at the time of scanning. 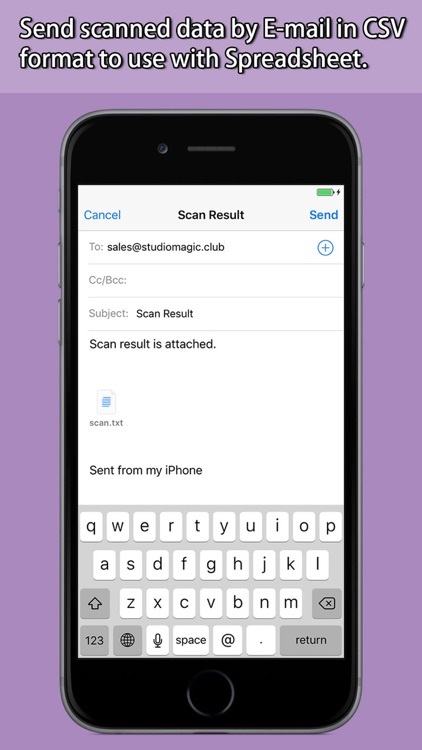 In Free mode, you can send up to 10 scanned data by E-mail. Upgrade to Premium Mode by unlocking to send unlimited number of records. 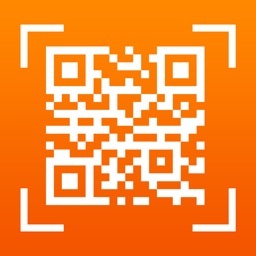 QR Code & Barcode Scanner !